A Cosmetic Tattooist may encounter questions from clients about the possible effects on their tattoos when undergoing Magnetic Resonance Imaging tests (MRI), due to various media reports and internet publications that have referred to adverse effects. This update bulletin will attempt to shed some light on the topic. 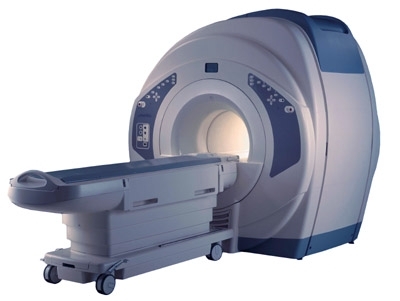 MRI’s may be referred to variously as Magnetic Resonance Imaging (MRI), Nuclear Magnetic Resonance Imaging (NMRI), or Magnetic Resonance Tomography (MRT). 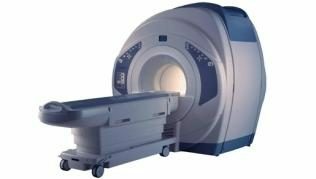 An MRI is a medical imaging test designed to provide a computerised image of internal body structures which can also be printed onto a paper report or onto radiographer’s photographic film (an x-ray type image). Unlike an x-ray test the MRI machine does not use an ionizing radiation source to create the image instead the MRI uses extremely powerful rotating magnetic fields. By creating the rotating magnetic fields the scanner is able to compile cross sectional images of body structures which may provide an alternative diagnostic approach to other tests such as x-rays and ultrasounds. You are most likely aware that compounds containing iron are strongly attracted to a magnetic field and that they can easily become magnetised, however most substances will produce a magnetic field in the presence of a strong magnetic source. This is what provides the MRI the ability to create an image of the body by scanning and recording the variations in the magnetic field when applied to the body structures. Ferromagnetic / ferrimagnetic – These are the materials that you would probably recognise as being affected by a magnet they usually contain ferrous compounds (iron/iron oxides etc), the effect of a magnetic field can be physically felt and the material is capable of retaining magnetization. Paramagnetic – These materials show only a weak attraction to a magnet and the attraction is so small that special instruments are required to measure the force of the attraction because it is so weak. Some materials that can be classified as paramagnetic include platinum, aluminium and ferrofluids (fluids containing very small particles of ferro/ferrimagnetic materials). Diamagnetic – These materials are repelled by both poles of a magnetic source and the strength of the repelling force depends upon the type of material and the strength of magnetic source that is applied. Some examples of diamagnetic materials are carbon and water although almost all substances that aren’t ferro/ferrimagnetic or paramagnetic are generally diamagnetic. Compounds within cosmetic tattoo pigments are solutions that frequently contain iron oxides and a variety of other non ferrous metal oxides such as titanium dioxide as well as glycerine, water, and sometimes carbon and other compounds. When first tattooed into the skin some of the water within the pigment would tend to be removed and pigment molecules become fixed into the upper level of the dermis by specialised cells called macrophages and fibroblasts. Over a period of 4-6 weeks the compounds within the tattoo pigment would tend to concentrate slightly as fluid is removed into the lymphatic system and the pigment would most likely remain in thick paste like consistency surrounded by the bodies fixating immune cells. Ultimately a fibrin rich encapsulation/matrix surrounds the pigment resulting in long term pigment fixation within the skin. When the tattoo pigment compounds are subjected to strong magnetic field, such as is applied by a MRI, theoretically there may be a range of magnetic properties within the tattoo pigments Ferromagnetic, Paramagnetic and Diamagnetic. The question of course is if the affect of the magnetic field on the pigment is likely to be any different to normal body tissue and if the affects are likely to be adverse effects. The actual incidence of patients experiencing an adverse reaction to an MRI due to the presence of a cosmetic tattoo is unknown this is simply due the lack of availability of comprehensive statistical data. Anecdotally some MRI operators have reported that occasionally patients with body art tattoos and cosmetic tattoos have experienced some minor short term skin reactions after an MRI and more severe reactions have also been reported in a very small minority of cases. Magnetic resonance imaging and permanent cosmetics (tattoos): survey of complications and adverse events. 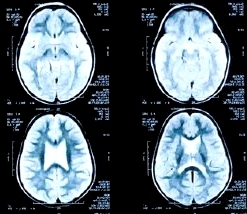 The above researcher’s surveyed 1032 patients who had undergone MRI of those 135 had some type of permanent cosmetics prior to the MRI and only two of those (1.5%) experienced slight sensations of tingling and or burning, and in both cases the symptoms were only transient and it did not prevent the MRI from being performed. That an MRI had to be terminated after two attempts because the patient complained of a severe burning sensation from the tattoos on his back and upper arms. That a 23 year old man sustained a second-degree skin burn at the site of two body art tattoos whilst undergoing cervical spine (neck) MRI. One could easily assume that the cause of these and other cases related to iron oxides within the tattoo pigments perhaps due to interaction between the MRI and the ferro/ferrimagnetic compounds which as we know are potentially susceptible to strong attraction in the presence of the MRI magnetic fields. However there are other case reports of adverse reactions between MRI and tattoos with pigments that were shown not to contain ferro/ferrimagnetic compounds. That a 25 year old female patient experienced first degree burns to her eyelids during an interrupted MRI of the cranium (head) and that the manufacturer's certificate of analysis of the tattoo pigment showed various heavy metals (e.g. lead, copper, zinc, chrome, arsenic, cadmium, barium, and mercury) but no ferric oxides. This of course indicates that interactions between MRI and tattoos do not necessarily just relate to pigments that contain iron oxides that are ferro/ferrimagnetic compounds resulting in an attraction to the strong magnetic fields, because in the above instance the tattoo pigments were shown to be nonferrous. It is known that heavy metals such as lead and mercury are diamagnetic and lead can actually be made to levitate in the presence of a very strong magnetic field due to the strong repelling effect that can occur with some diamagnetic materials. An obvious question and concern in the case reported above is why compounds containing arsenic, lead, barium and mercury were in a tattoo pigment in the first place and this highlights the importance of sourcing pigments from reputable manufacturers who manufacture using safer ingredients and whom disclose their full ingredient lists. Digressing briefly; we note with some vague interest that the popular television program myth busters evaluated the unreferenced claim of exploding tattoos during MRI and their anecdotal testing results failed to produce any such effects. During our own empirical experience we have not had a client, nor been informed of about any cosmetic tattooist who has had a client, who has complained of adverse effects from undergoing an MRI that was attributed to their cosmetic tattoos. Within a presentation by Kasper K. Alsing at the European Congress on Tattoo and Pigment Research the author discussed the possibility that transient burning sensations during MRI scans in a small number of cases may be coincidental, research conducted at the The Tattoo Clinic, Bispebjerg Hospital Copenghagen Denmark found there was a minute but statistical significant increase in temperature in iron oxide pigments after subjecting them to MRI scan but not a sufficient increase to cause thermal skin burn, iron oxide pigments that were tested all contained metals with mixed magnetic properties. We note that the tattoo pigment was tested in vitro (not in vivo) which may affect the results but nonetheless the research was significant and the conclusion reached was It is a myth that magnetic resonance imaging causes thermal burn as noted in the medical literature (sic in patients with cosmetic tattoos)10. It is possible that the cause of adverse sensations and effects such as tingling and burning of tattoos during some MRI tests is perhaps due to mixtures of compounds within the tattoo pigments possessing different magnetic properties. For example if various compounds within the tattoo pigment are ferro/ferrimagnetic and or paramagnetic (attracted by the magnetic field) and other compounds are diamagnetic (repelled by the magnetic field) then theoretically this may result in diametric agitation of the compounds within the skin and the production of heat or cellular tissue damage either due to particle friction or cellular rupture when under the influence of the strong magnetic fields of the MRI. The rotational magnetic field created by a MRI scanner may tend to exert a magnetic pulse effect on the tattoo pigment exacerbating the frictional forces due to causing an on / off agitation of the pigment compounds caused by diametric forces on the particles in instances where the compounds contained differing magnetic properties. 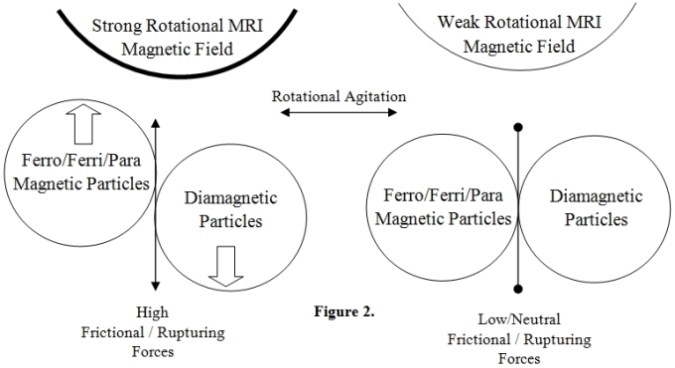 The diagram in Figure 2. below illustrates the potential for diametric forces created during MRI in instances where the tattoo pigment contains materials with a range of magnetic properties. Pigments containing high concentrations or large particles of iron oxide compounds may potentially also cause issues due to simple ferro/ferrimagnetic attraction or RF-induced electrical currents, there has been some suggestion that older tattoo pigments were more susceptible due to higher concentrations of iron oxide compounds and therefore older tattoos may be more susceptible to adverse effects, however we have been unable to find any verifiable evidence for this claim. 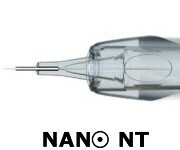 1) Frictional heat production during diametric nano particle agitation/rotation. 2) Minor cellular tissue rupture due to diametric/rotation forces damaging cellular structures or the fixating fibrin encapsulation/matrix. 3) RF-induced electrical currents resulting in tissue heating. 4) Other unidentified or unrelated causes (i.e. unrelated coincidence). In alternative 2) above those patients who were observed to have sustained burns may in fact have sustained minor cellular tissue rupture caused by the forcing apart of the particles with the pigment in opposing directions due to their differing magnetic properties. The cellular tissue rupture could be likened to the effects of slight frostbite (congelation) with the less severe cases of tissue damage resulting in transient reddening of the skin and the more severe cases resembling a burn perhaps with minor extravasation (oozing) of intracellular fluid contents. In the (hypothetical) illustration in Figure 3. below the particles within the pigment compound with differing magnetic properties, as depicted in black and grey in the illustration, are forced into diametrically opposite directions under the influence of the MRI magnetic field resulting in minor rupture of the fibrin encapsulation/matrix that was previously surrounding and fixating the pigment within the skin. The precise mechanism that has caused the reported incidences of skin trauma during MRI is unknown however the authors believe that MRI-DPA or RF-induced electrical currents are better models for describing the cause of; skin tingling/heating/burning/cellular rupture as opposed to simple ferromagnetic attraction. There are a sufficient number of anecdotal case reports to indicate that there may be a very slight risk of adverse reactions for patients undergoing MRI if they have pre-existing tattoos however the most significant reactions appear to relate to body art tattoos and in particular larger tattoos or those that have circular or loop patterns and it has been suggested by other authors that those circular tattoos may enable a magnetic feedback mechanism to establish. The reported incidence of adverse reactions during MRI in patients that have permanent makeup is quite low (1.5%) and in most of those cases the reactions were limited to minor, transient tingling or burning sensations. The cause of burning sensations during MRI is yet to be established however there is some evidence to suggest that in at least some of those cases the pigments contained compounds with differing magnetic properties which lends support our hypothesis that diametric particle agitation (DPA) may be the cause it is also conceivable that the minor symptoms experienced in a small number of cases may be purely coincidental as suggested by the research conducted at The Tattoo Clinic, Bispebjerg Hospital Copenghagen Denmark10. Alsing et al. published similar findings in Skin Research and Technology10 stating that "High concentration of iron was not associated with any increase of temperature or any physical draw or move of ink" and concluding that their study could not confirm any clinically relevant temperature increase of tattoo pigments after MRI, however in vivo experiments may provide a more conclusive indication of the effects of MRI when tattoo pigment is fixated within the skin. In a very small number of cases stronger reactions have occurred that resulted in injury to the patient with cosmetic tattoos, it is possible that traces of heavy metal compounds within the pigments may have played a part in those stronger reactions, possibly caused by DPA or other unknown causes. At this stage the cause of tingling/burning sensations and skin effects in these small number of cases within the medical literature seems inconclusive and may require further investigation by the scientific experts to provide a definitive answer on this issue. We would recommend that cosmetic tattooist always ensure that they source their pigments from reputable manufacturers who produce high quality pigments and provide detailed information about ingredient lists. Pigments containing compounds of arsenic, lead, barium, mercury and the like should not be used for cosmetic tattooing not only because of the potential MRI risks but also because of the potential general health effects that may result from tattooing those materials into the skin. Because of the delicate facial structures that are involved with cosmetic tattooing, we would advise against tattooing clients who are scheduled for an MRI at the time of their tattoo appointment until after the MRI has been conducted and clients who undergo MRI at some future time should inform their doctor and their MRI technician that they have cosmetic tattoos. It would of course be prudent practice for MRI technicians to ask all patients if they have tattoos prior to commencing a scan and of course cease the MRI if the patient experiences significant adverse effects such as burning sensations in the region of skin near the tattoo. Specific recommendations for MRI operators relating to patients with Cosmetic Tattooing can be read on the site MRI Safety on this link. Tope WD, Shellock FG. Magnetic resonance imaging and permanent cosmetics (tattoos): survey of complications and adverse events. Alsing KK, Johannesen HH, Hvass Hansen R, Dirks M, Olsen O, Serup J. MR scanning, tattoo inks, and risk of thermal burn: An experimental study of iron oxide and organic pigments: Effect on temperature and magnetic behavior referenced to chemical analysis. Skin Res Technol. 2017 Dec 17. This update bulletin was initially produced by CosmeticTattooist.com as part of our CT-AIVEP Graduate Update Program. Copyright © 2013-2017 CosmeticTattoo.org & the article author All Rights Reserved. No copying, transmission or reproduction of site content is permitted without our prior written consent.